This set includes all 6 of our most popular, must have products. These must-have products are our best sellers for a reason. 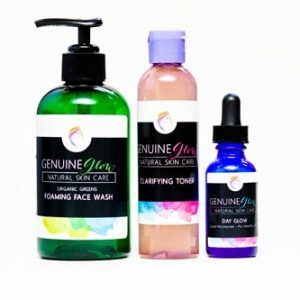 Achieve beautiful, glowing, flawless and healthy skin with this complete 6-piece skin care set. 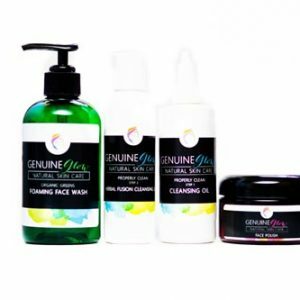 I’ve been using Genuine Glow Skin Care since they launched. I order this set every 45 days so I don’t run out. My skin has never felt better or looked healthier. This set has everything you need. 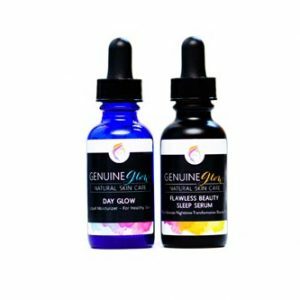 A friend told me about Genuine Glow and I’ve been a customer ever since. Really is the best skin care. Like the customer above, I’ve been using this since Genuine Glow started. This was the first set I bought (even before it was a set) and I fell in love. My skin has never looked healthier, brighter or better. Highly recommend this to everyone!